Australia is one among those countries in the world, which first introduced the point system for allowing immigrants in the country. Today, a few countries are following the same pattern. However, Australia’s point-based immigration system is largely popular across the world. In fact, several countries are in process to adapt the merit-based immigration system like Australia. General Skilled Migration (GSM) is the point-based system that has two skilled permanent visa categories, i.e. Subclass 189 and Subclass 190 visa. One visa, i.e. Subclass 489 visa is the temporary visa valid for 4 years. All three visa categories under GSM are point tested visas. Submit an EOI in the online SkillSelect system of Australia and score minimum 60 points based on age, education, work experience, language skills, etc. Higher score will increase your chances of receiving the ITA. Submit the complete visa application along with essential documents within 60 days. If all verifications go fine, you will get approval for the visa. 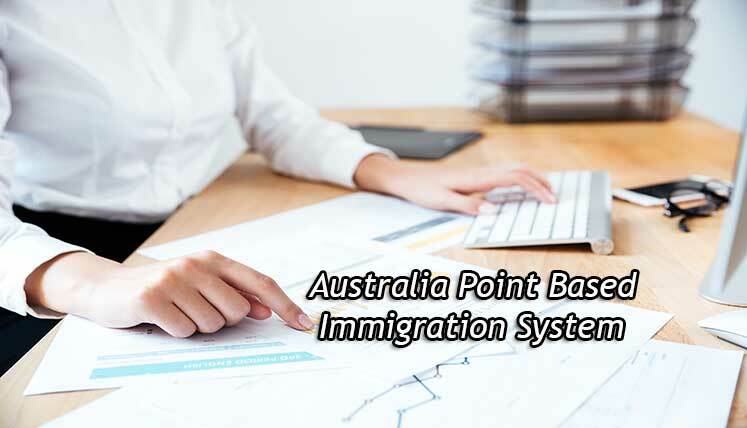 As per Australia’s point-based immigration system, you get points for various factors of your profile, i.e. age, education, work experience, language skills (English), etc. The table below indicates the maximum points you can obtain for each profile factor. If you are still confused about the point-based immigration system of Australia, you may contact qualified and experienced immigration expert at Visas Avenue. You will get inclusive assistance from the immigration expert right form online EOI submission to visa filing and follow up. You may contact Visas Avenue immigration experts on Toll-Free Number- 78-18-000-777. Alternatively, e-mail your queries to Visas Avenue e-mail id- info@visasavenue.com.